Cheddar CEO Jon Steinberg has announced a plan to disrupt broadcast cable by taking another slice of the TV-network-playbook: bundling its product with Hulu Live TV and YouTube TV. It’s the latest move by Cheddar, which has used partnerships and diversified distribution to make the streaming network not only comparable to but competitive with broadcast news networks. 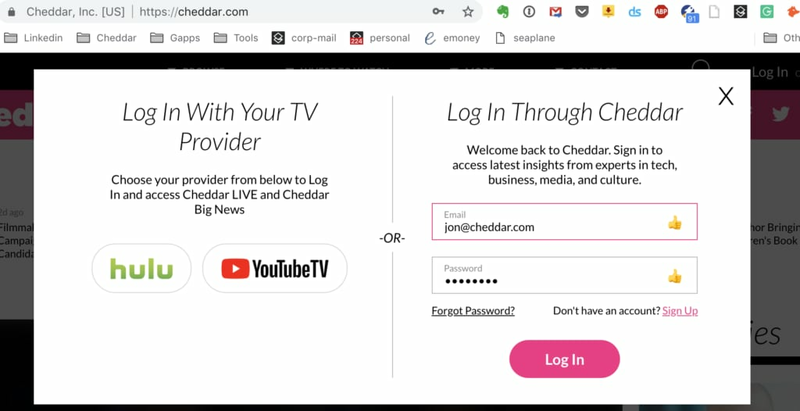 Customers paying for Hulu TV and YouTube TV will now have access to Cheddar. “We are always in base bundle, so this means all subscribers of these leading platforms can access [our programming],” Jon Steinberg, CEO of Cheddar, said in a statement. Comparatively, Cheddar’s price point is significantly less than both Hulu and YouTube TV. If all three companies can cross-pollinate their audiences to gain greater wallet share, it’s a win-win-win. For OTT companies like Cheddar, audience development and scale are crucial to securing longevity in a what’s currently a bearish market.